When you are suffering from a bed bug infestation, you may be tempted to try to deal with the problem with yourself. Unfortunately the only way to get rid of bed bugs is through treatment by a licensed professional. Many people try the DIY approach and head to their nearest Home Depot or Lowes to pick up bed bug spray or foggers. But no matter what brand you decide on — or how much you spend on it — your bed bug problem will still exist after using it because bed bugs have become resistant to store-bought chemicals. When you use these products, you push the bed bug infestation into other rooms which may make treatment more costly. Bed bugs cannot withstand extreme heat and neither can their eggs. By heating your home up to 150 degrees, bed bugs are quickly killed without any hope of continuing their breeding cycle. 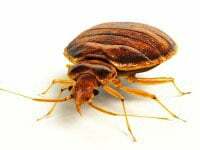 The effectiveness of heat treatment lies in the fact that there is no place for bed bugs to hide. The entire home is heated which permanently prevents the spreading and breeding of bed bugs. 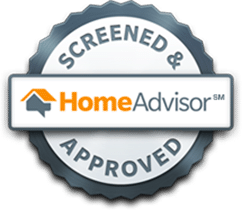 You receive a one year warranty with our bed bug heat treatments. If you ever see a bed bug within your warranty period, give us a call and we will come back out to re-treat. Heat treatments are more expensive, but you have that immediate same-day relief from the bed bugs and bites. 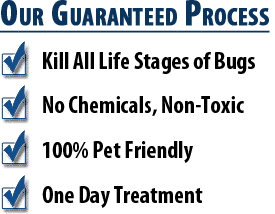 An affordable bed bug treatment option in Scottsdale is a chemical treatment. The chemicals we use are guaranteed to work but take up to 30 days to take full effect. This is because of bed bug eggs that have been laid but not yet hatched. As new bedbugs hatch, they will also be exposed to our chemical and die as a result. Our chemical treatments come with up to a six-month warranty. 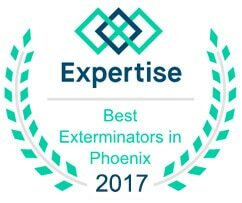 Our Scottsdale Bed Bug Experts are ready to take on your bed bug infestation. 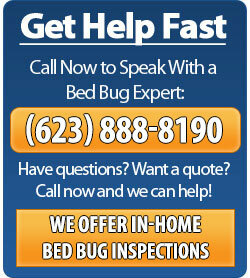 Contact us for a free estimate on bed bug extermination that’s guaranteed to work.